Face facts: You can't actually grill in a microwave. You grill over an open heat source, preferably one that generates smoke, which lends a distinctive flavor to the product being grilled. 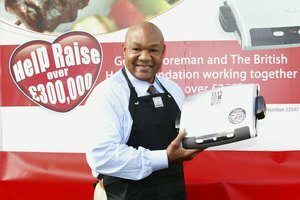 Of course, you can't actually grill indoors either, but that hasn't stopped George Foreman. The microwave grill, while a far cry from the traditional, gives you a fast and healthy alternative to frying on the stove top. 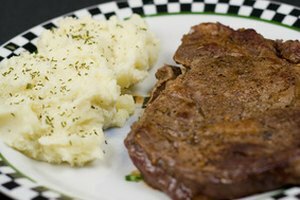 Instead of allowing the food, particularly meat, to marinate in grease, the microwave grill offers a raised surface that allows oil and fat to drain away. 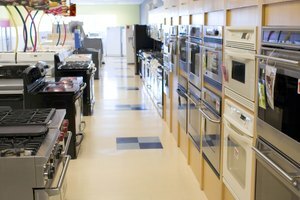 Additionally, since you are using the microwave, cooking time is greatly reduced and you can make a tasty dinner without heating up the house. To use your microwave grill, follow the steps below. Prepare the food items you wish to grill, if necessary. Remove any skin or bones and trim away excess fat. 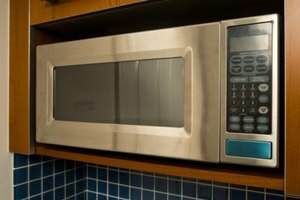 This may seem a bit tedious, but microwaves cook by heating the water molecules within the food. If you try to cook something with inconsistent water content, you'll end up with a final product that is overcooked in some places and undercooked in others. Preheat the grill by placing it into the microwave with no food on it. Let it heat up on high for 1 minute. Remove the grill from the microwave with care, using oven mitts if necessary. The grill material is capable of retaining very high temperatures, even after only a short amount of time in the oven. Place the food to be grilled on the pan. Place the lid over the grill to allow your food to brown evenly. If your model does not have a lid, cover the food with a paper towel. Return the pan to the microwave. If the food in question is greasy, it might be wise to use several paper towels to prevent splattering. Cook the food on high for approximately one-fourth of the standard cooking time. For meat, you should estimate a cooking time of 3 to 4 minutes per pound, depending on the wattage of your microwave oven. Bacon needs about 45 seconds per slice. Allow the grill to completely cool before cleaning. Wipe away any grease or debris with dry paper towels before running the grill under scalding hot tap water. Once the water has removed most of the surface oil, wash the grill either by hand or in the dishwasher. 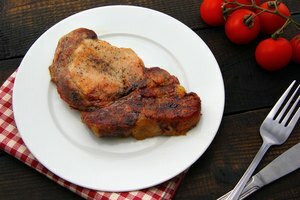 If you're finding it difficult to obtain even cooking results, try covering the food you're attempting to micro-grill with sauce of some sort (teriyaki, barbecue, etc.). The sauce will evenly distribute the heat across the surface and can contribute significantly to a consistent final product. Try making homemade croutons. The following recipe is adapted from an original created by Chef John Smither. Simply cube 6 to 8 slices of stale bread. Place them on the preheated grill and drizzle with olive oil. Sprinkle your choice or seasonings over the cubes (garlic, salt, pepper, parmesan cheese) and microwave on high for 5 to 7 minutes. Stop every 2 minutes to stir the bread cubes.